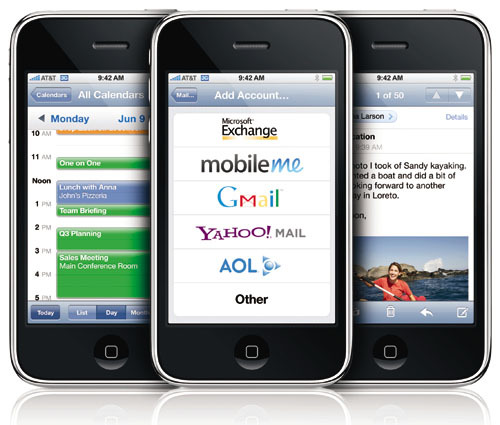 Apple’s iOS4 mobile operating system doesn’t just run on Apple’s brand new iPhone 4: although the original iPhone has been left out in the cold, the operating system does support Apple’s iPhone 3G and iPhone 3GS devices (Although Apple has consistently noted that not all iOS 4 features would be supported on previous devices, one key differentiator being multitasking.) However, some iPhone 3G owners have been less than thrilled about the iOS 4 upgrade, claiming the new operating system performs poorly on the older handsets and substantially reduces battery performance. Now, according to the Wall Street Journal and other sources, Apple has begun looking into complains about running iOS4 on older handsets, particularly the iPhone 3G. In addition to reduced battery performance, users report the iPhone’s interface is substantially less responsive, many applications perform very slowly, with even functions that are essentially unchanged with iOS 4 becoming sluggish. Some users had been hoping that Apple’s recently iOS 4.0.1 update would address performance issues, but iPhone 3G users who were experiencing problems report no improvements. Some users have reported good results performing a complete backup and restore, rather than merely updating the iPhone’s operating system. Since announcing iOS 4, Apple has been clear that not all features would be supported on older handset models, with the most-commonly -cited example being application multitasking. However, from a computing standpoint, the differences between the handsets are significant: the iPhone 3G packs jkust 128 MB of RAM and a 400 MHz processor; the iPhone 3GS has 256 MB of RAM and a 600 MHz processor, which gives it a substantial performance edge.